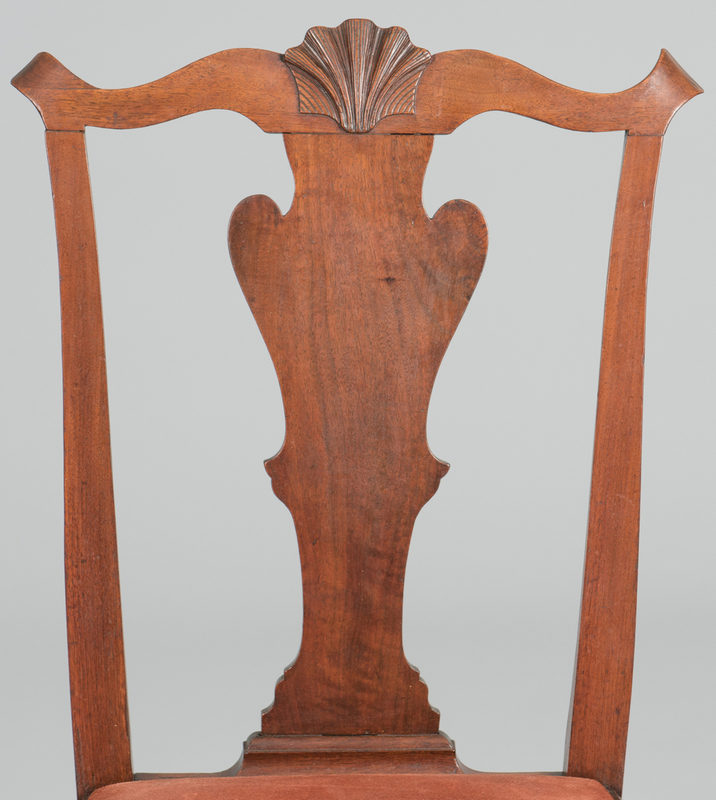 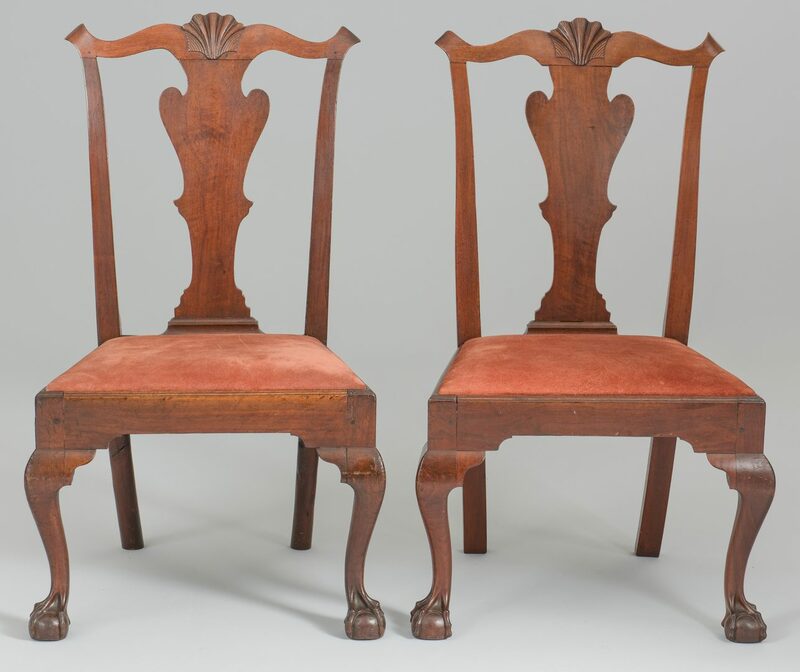 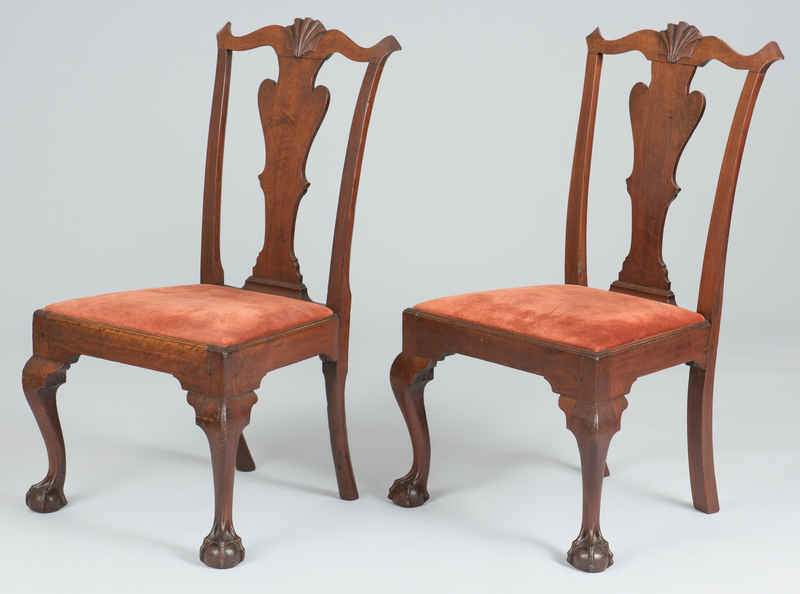 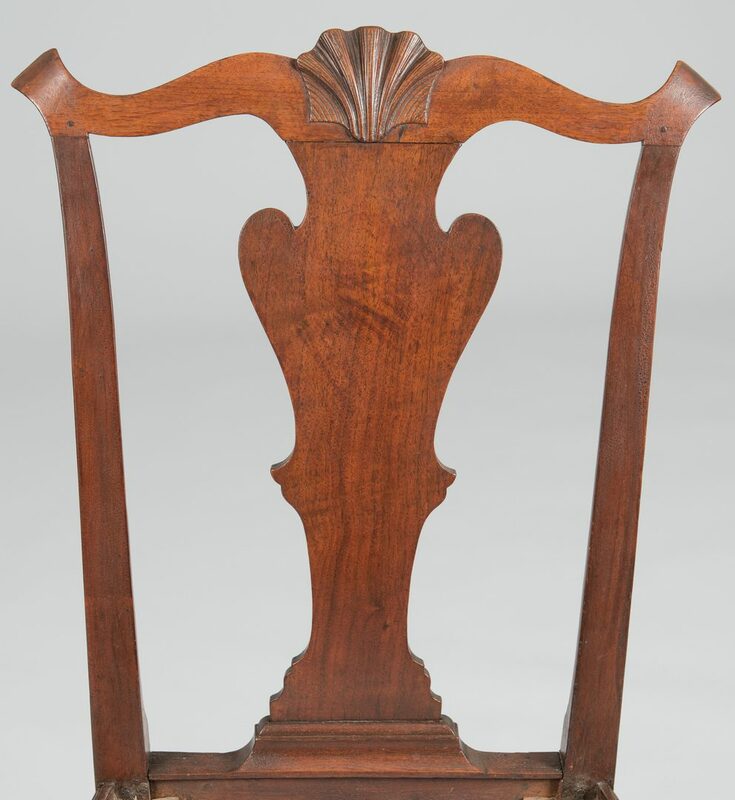 A near pair of two mahogany Philadelphia Side Chairs with transitional elements from the Queen Anne period. 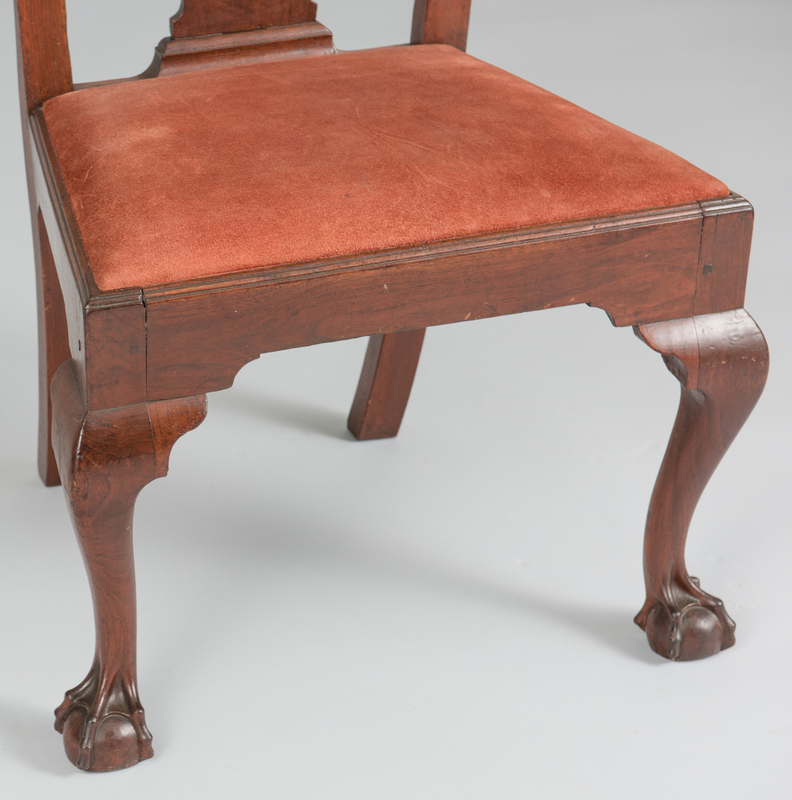 Each chair having a serpentine crest rail with projecting molded ears and center carved shell above a solid vasiform splat over a trapezoidal seat frame fitted with a conforming slip seat. 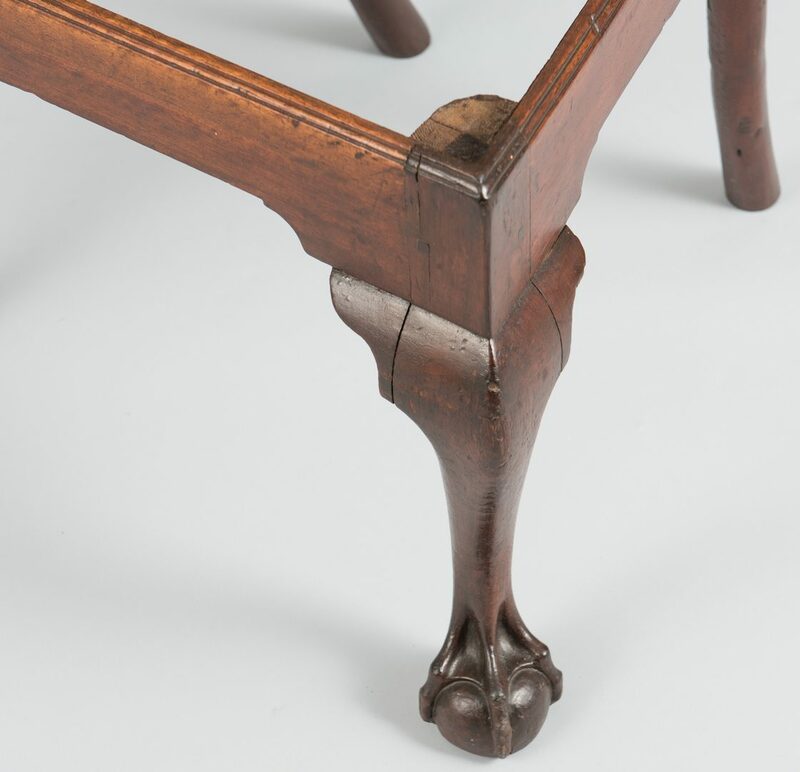 Cabriole front legs transitioning to ball and claw feet. 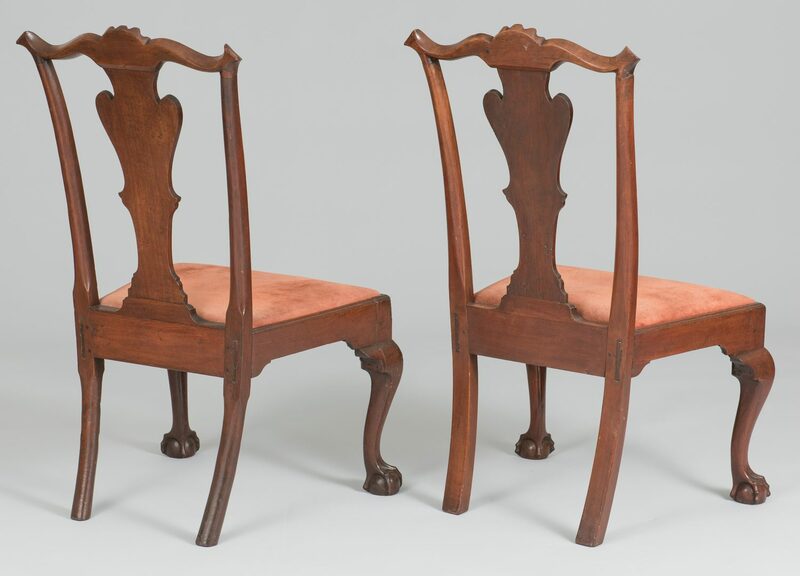 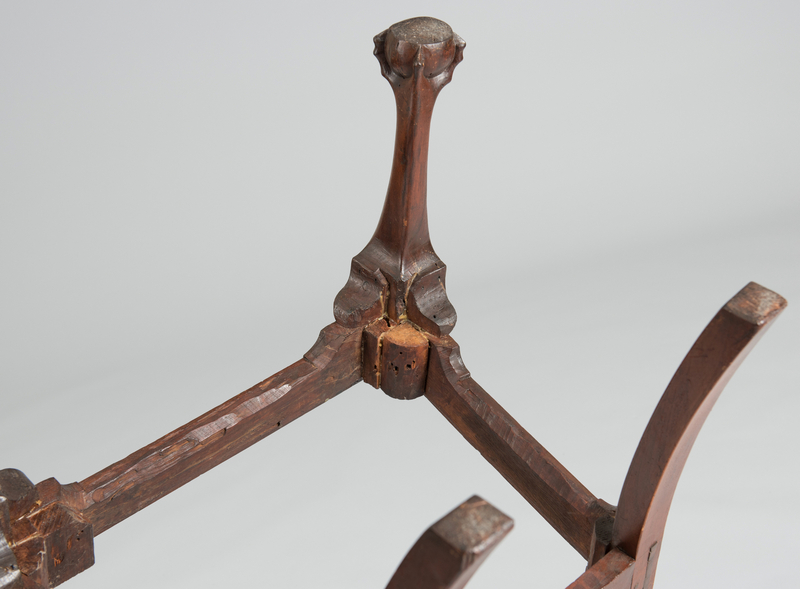 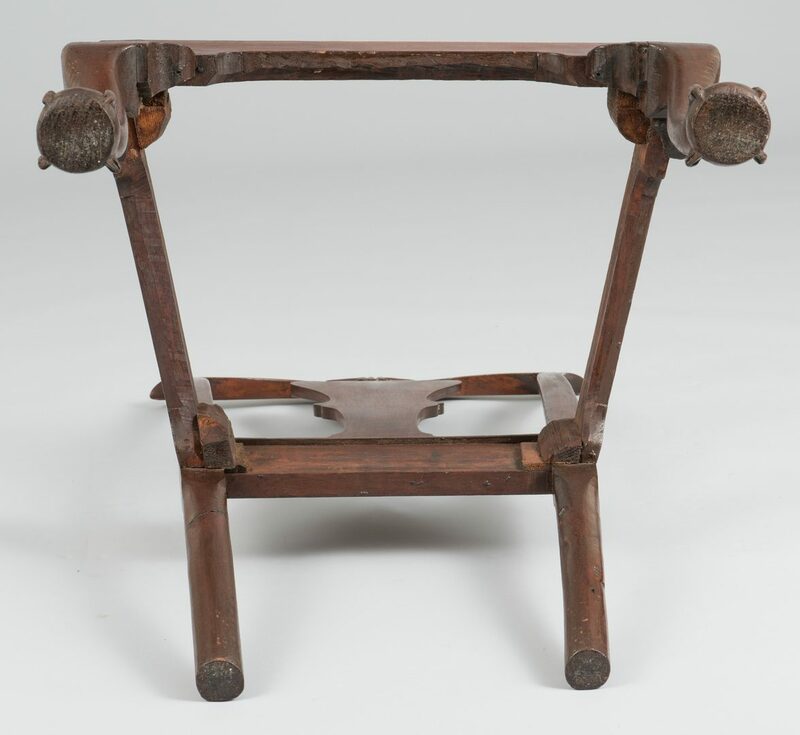 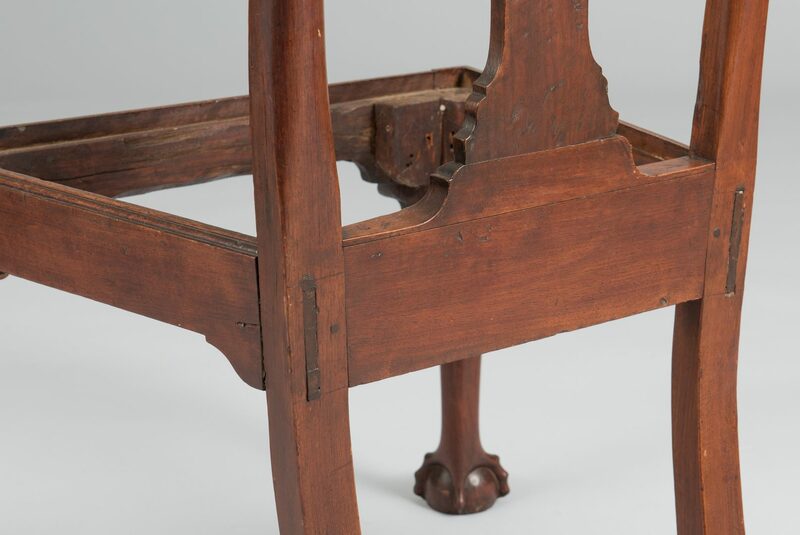 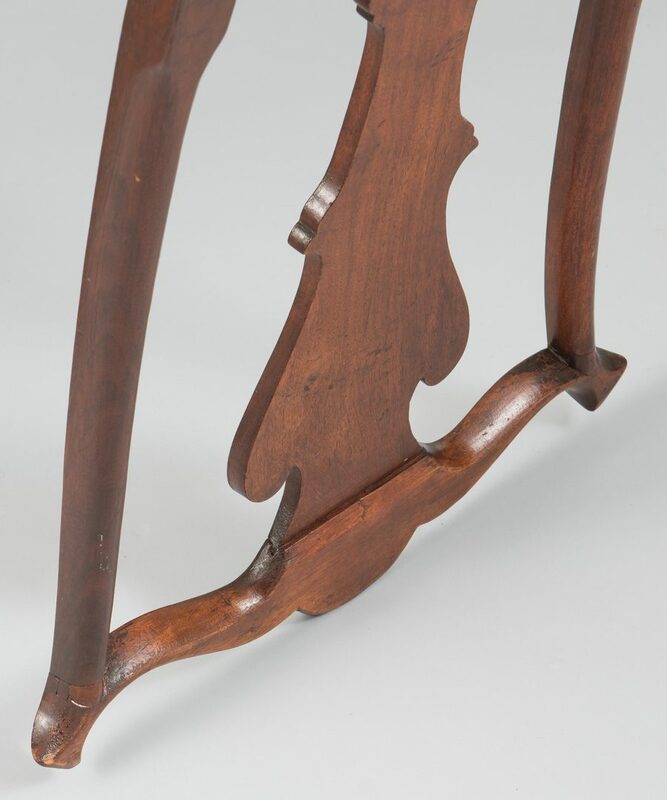 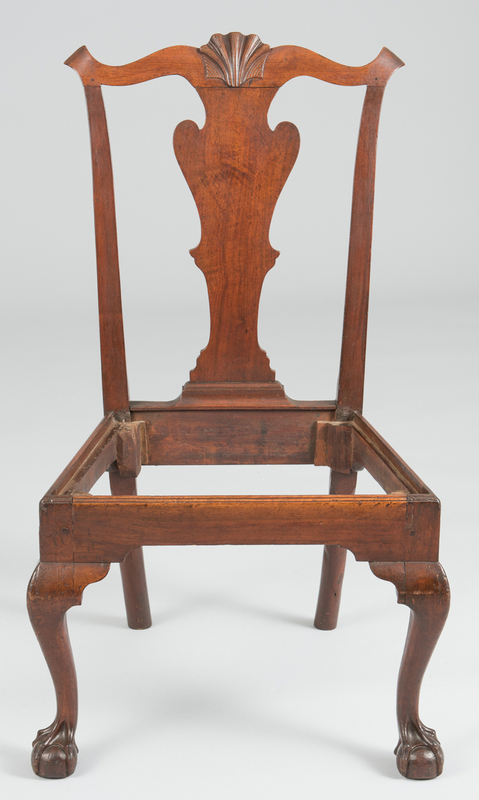 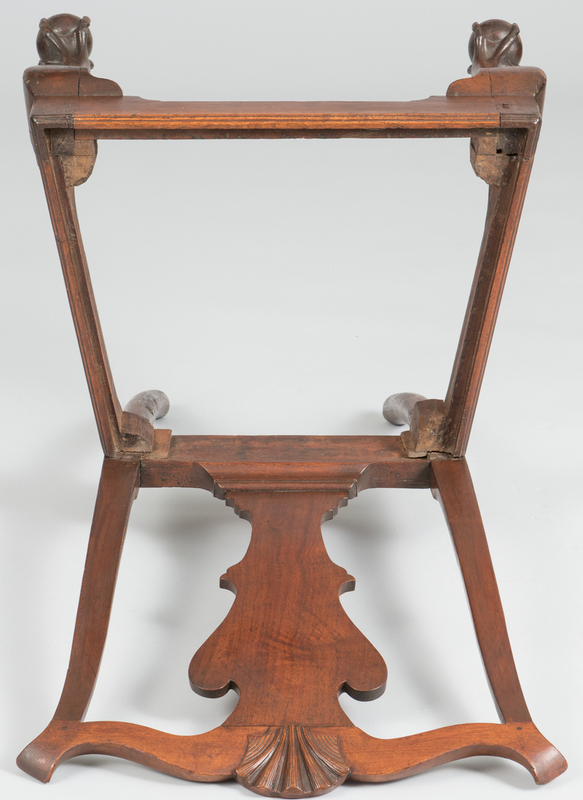 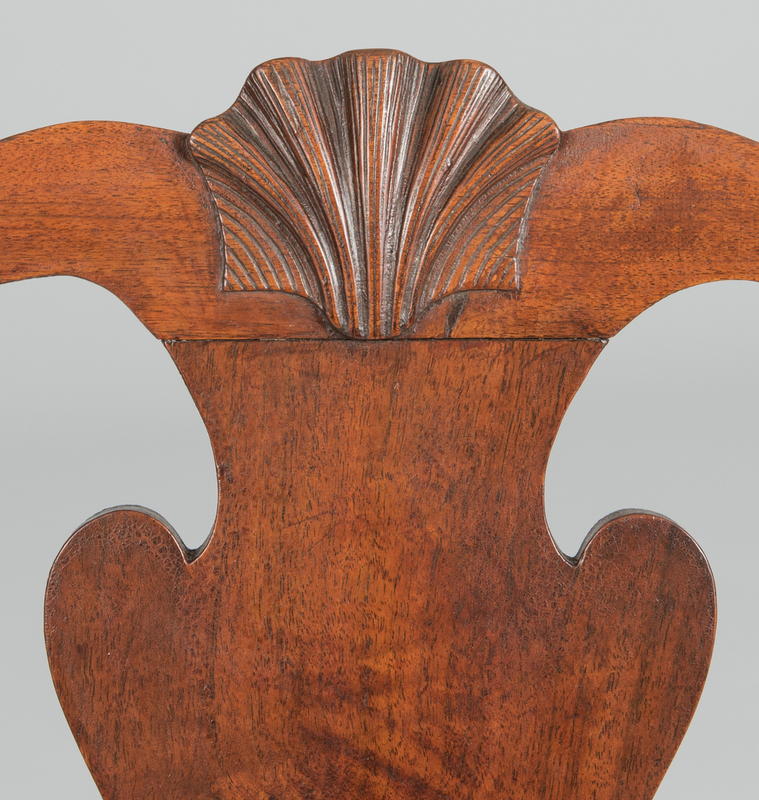 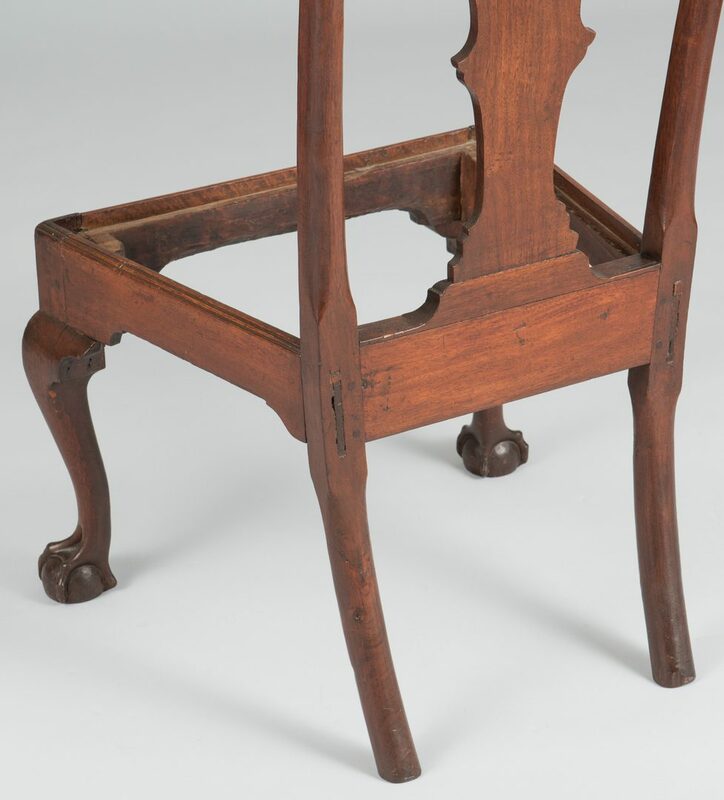 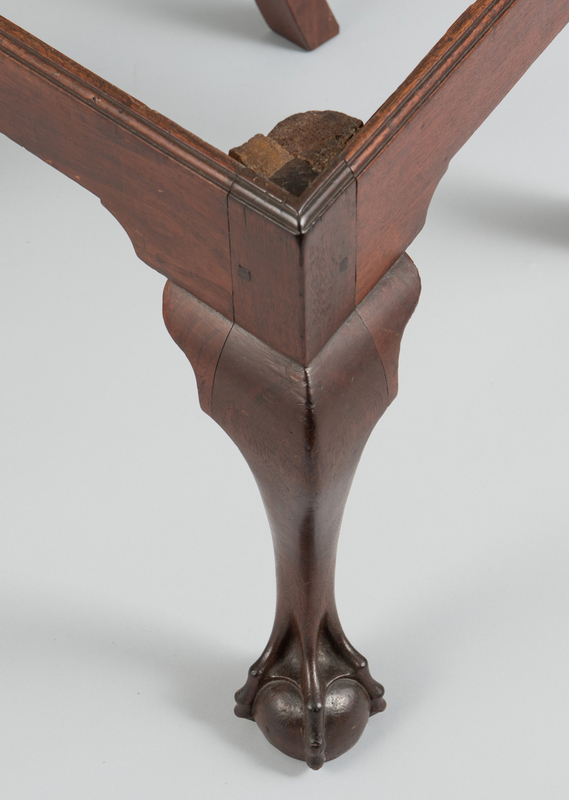 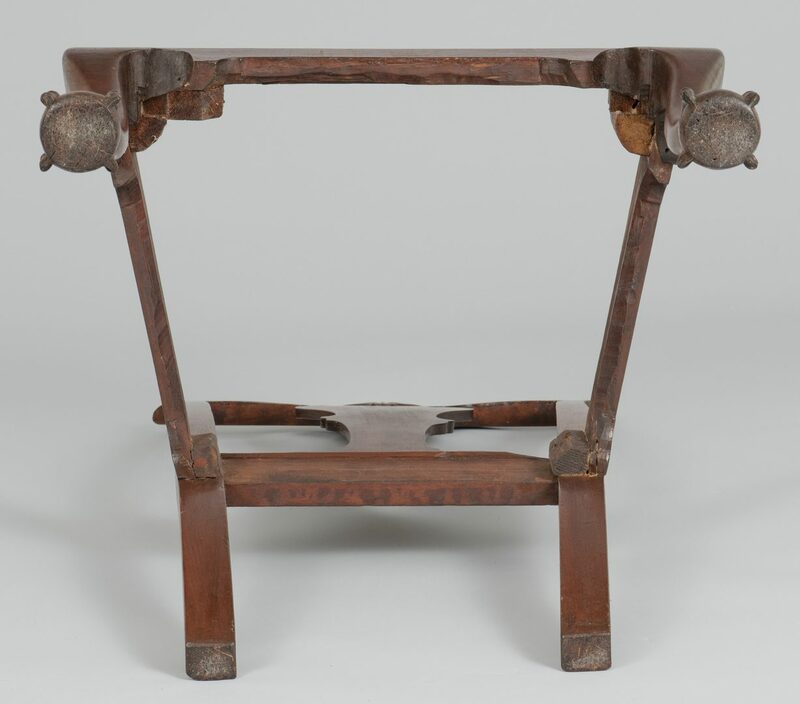 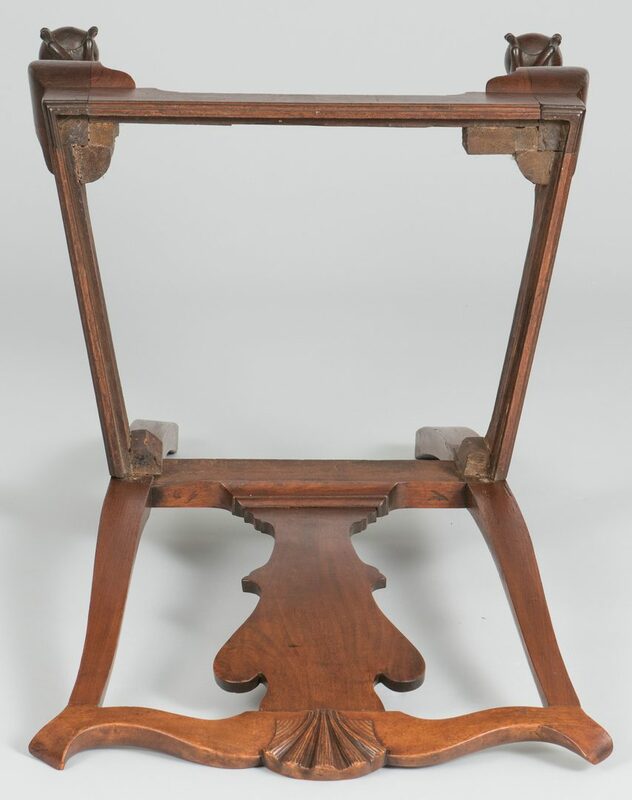 Note: Slight differences between the two chairs include one chair having the mortise joint double pinned on the back stiles transitioning to circular rear legs (square rear legs on the other chair), with single pins at the base of the crest rail near the molded ears, and the vasiform splat of one chair not conforming to the contour of the adjoining crest rail. 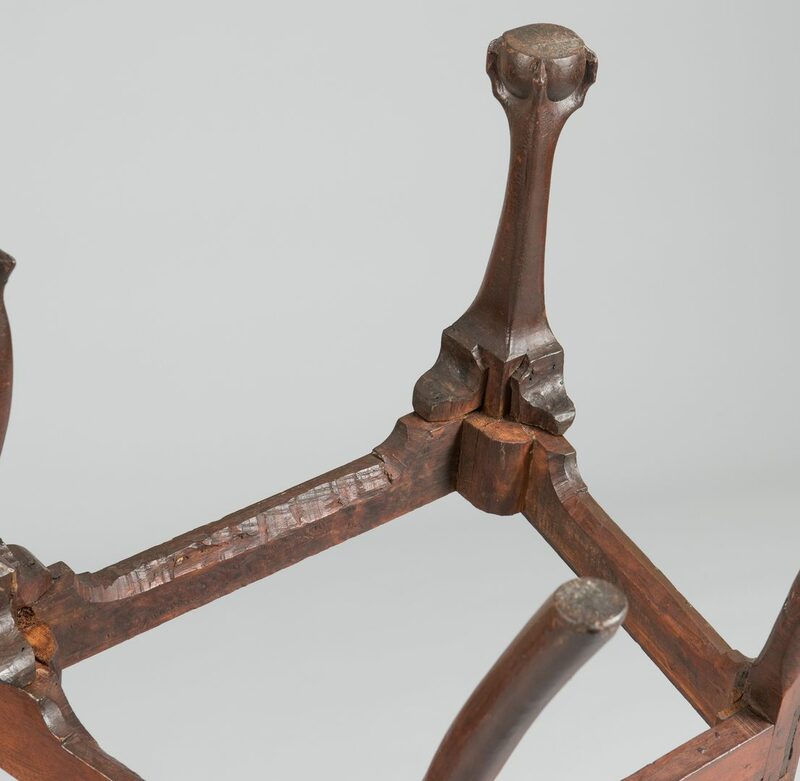 Seat frames appear to be original. 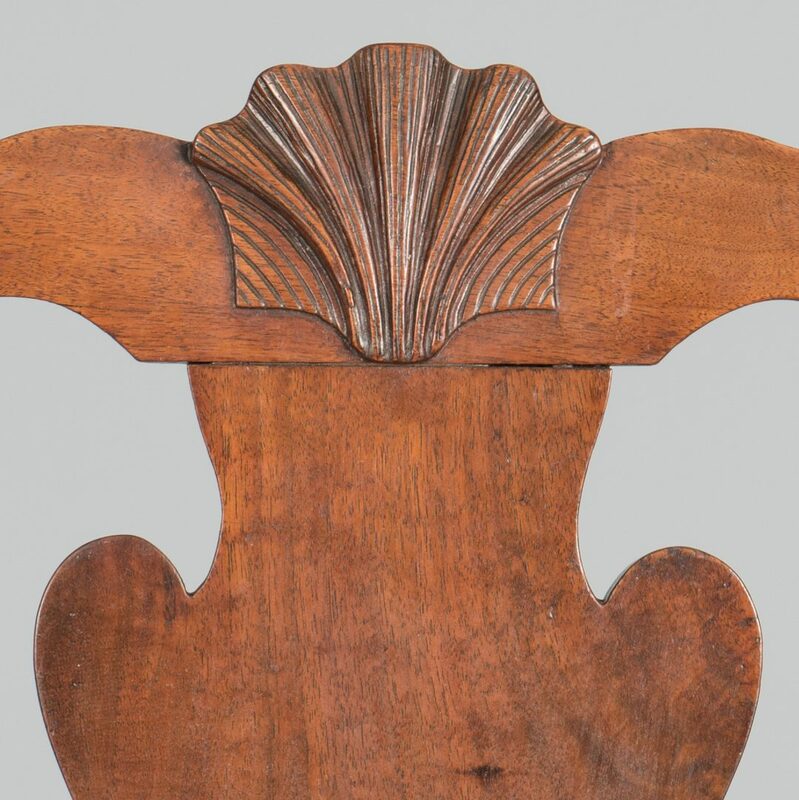 Provenance: the Living Estate of Dr. and Mrs. Benjamin Caldwell, Nashville, TN. Ranging in size from 39" 1/4" H x 23 1/4" W x 21" D to 39 1/2" H x 23 1/4" W x 21" D. Circa 1750. 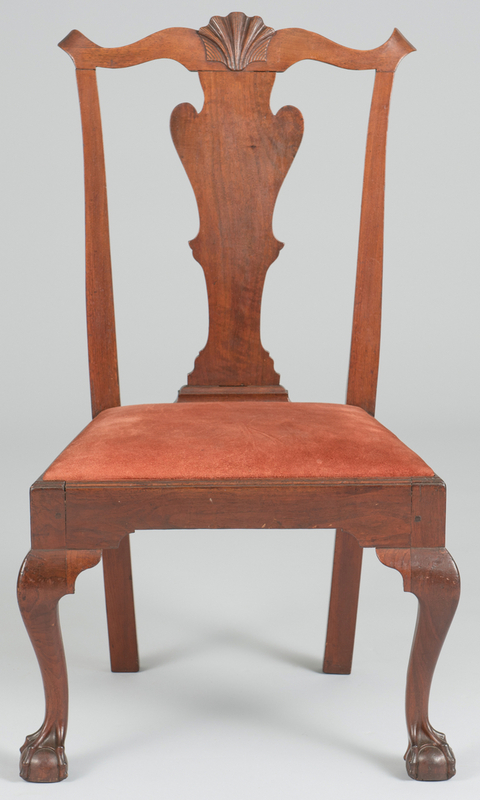 CONDITION: One chair's splat does not conform to the entire length of the adjoining crest rail member. 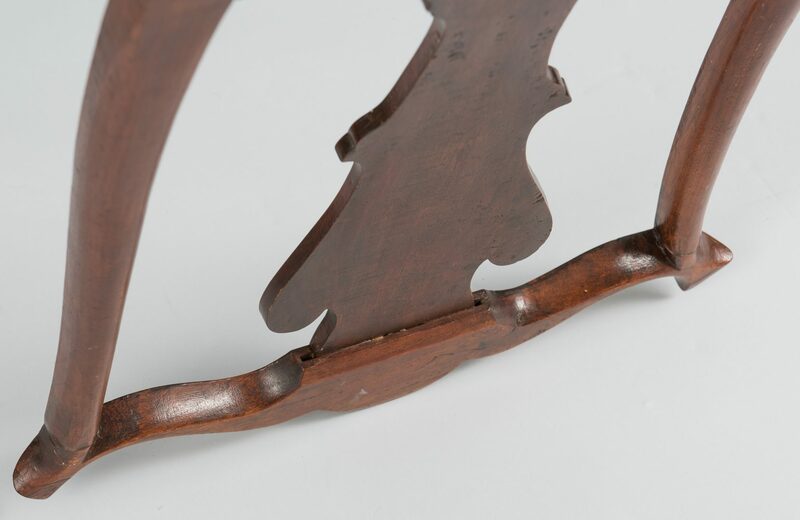 Repair to the left ear of the crest rail. 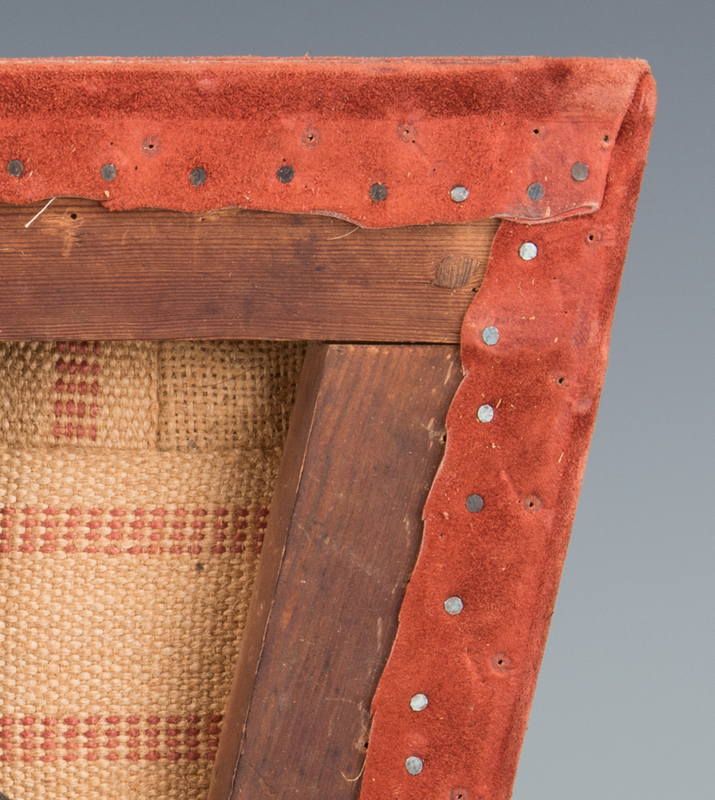 Small patch repair to the back of the left mule ear of the crest rail on the other chair. 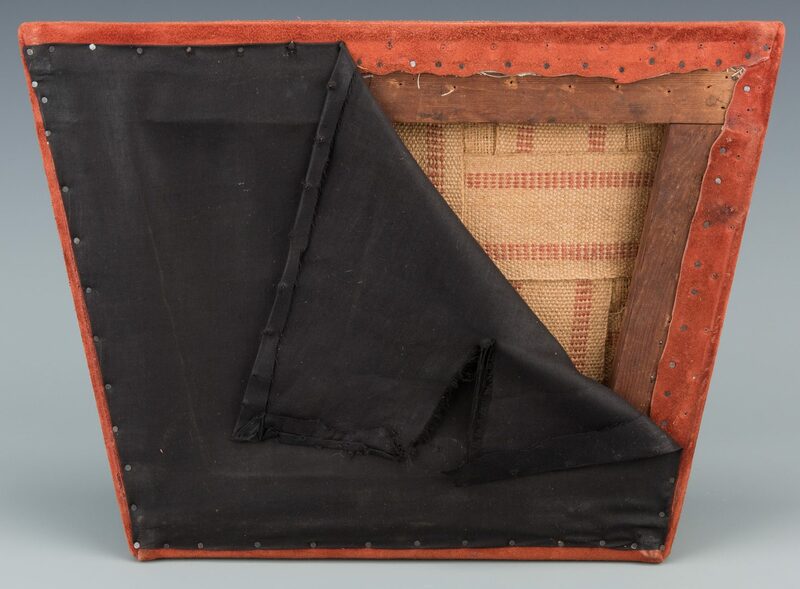 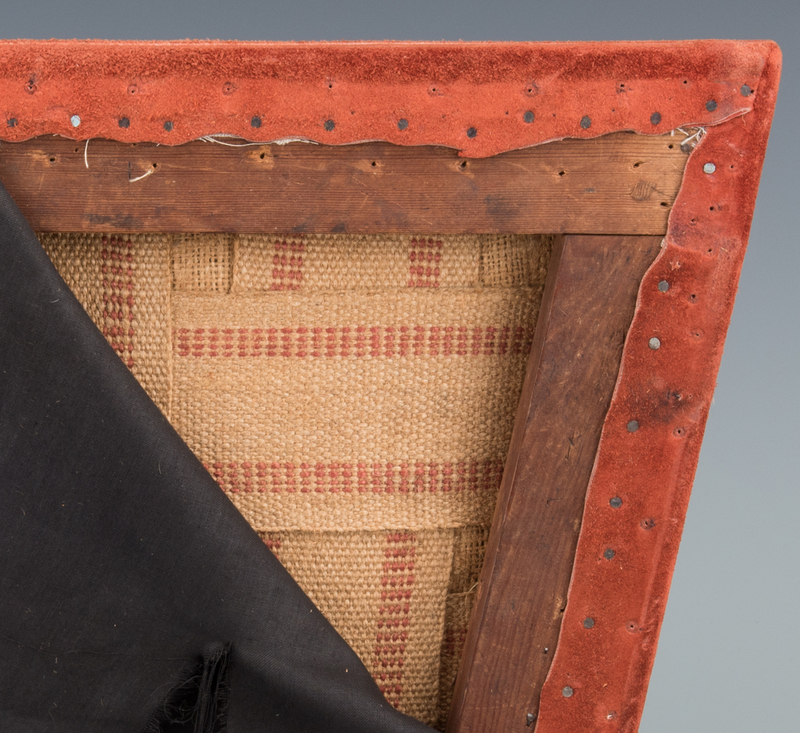 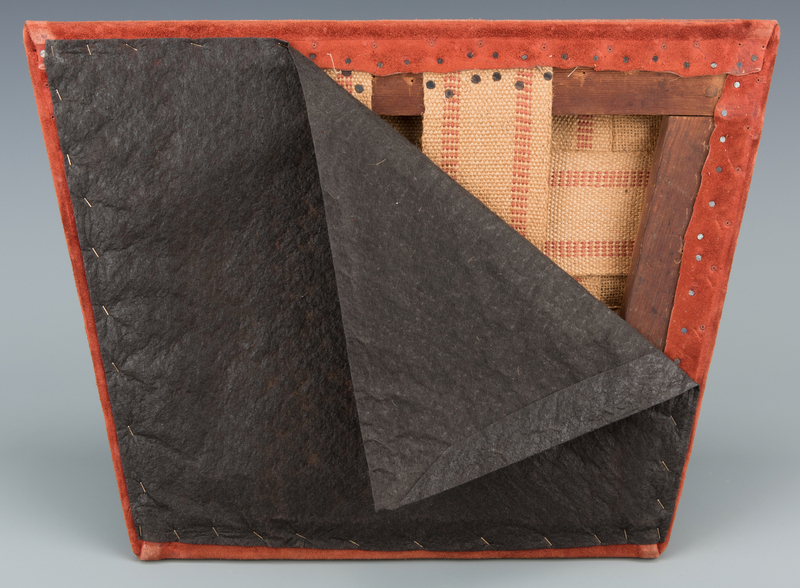 Slip seats appear to retain the original frames with later upholstery webbing and covers.